Fast and smooth invoicing is extremely important for every business. So, invoice forms need to be organized in a simple but effective way. 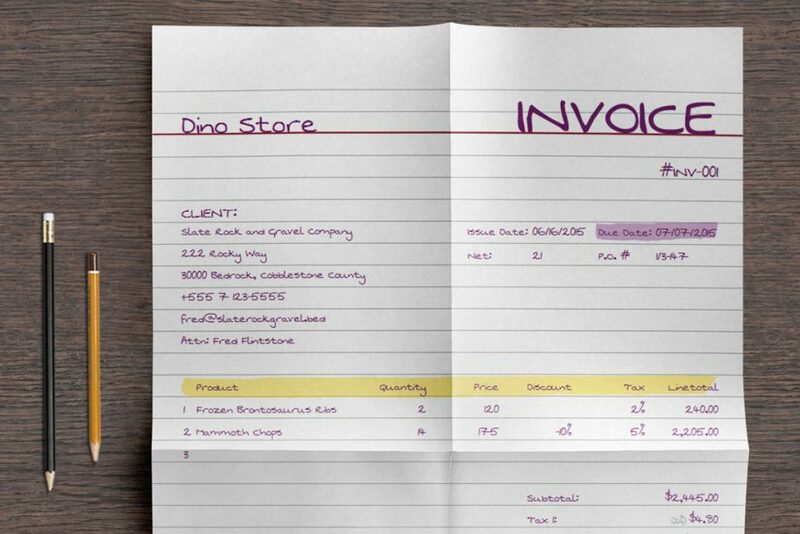 In line with that, visually appealing invoice templates and forms will help you get noticed and paid faster. Also, such invoices will send a clear message about your brand and your business in general. The more creative they are, the stronger impression they’ll leave on your clients. 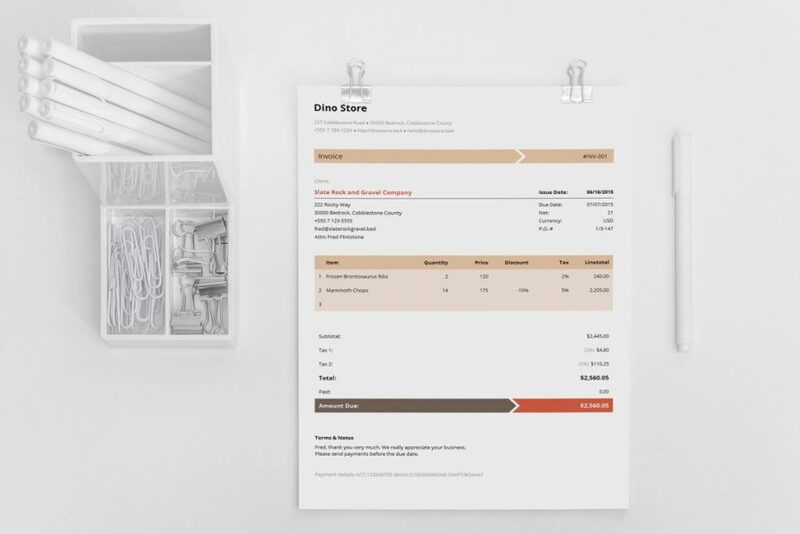 So, here’s an overview of some visually inspiring and practical invoice templates. 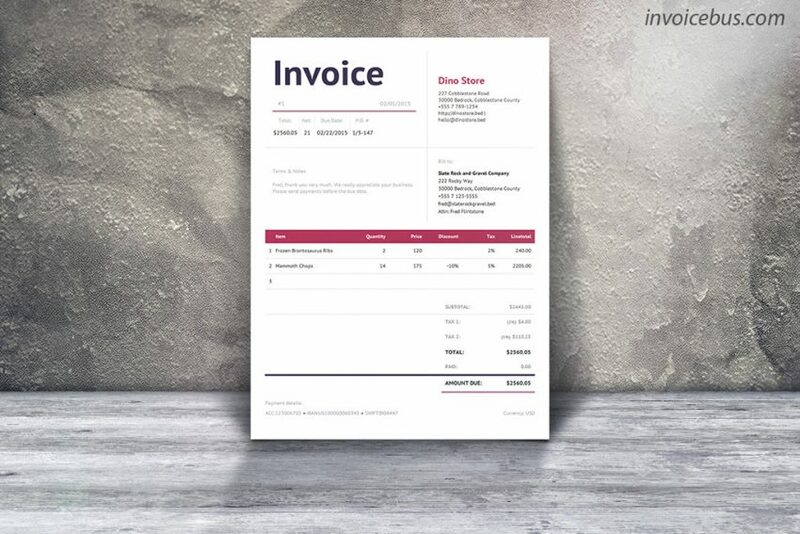 Small and mid-sized business owners who want to impress their clients will go for the Armo invoice template. The greatest advantage of this template is its straightforward organization into three different parts. The upper section contains details about your client and your business. The middle part contains the totals and list of charged items, as well as the taxes that need to be paid for every particular project, service or product. Finally, the bottom of the invoice includes the payment conditions and additional notes. As for the design, you can choose from four different patterns and adapt the colors, the layout and the logo to your invoicing needs. 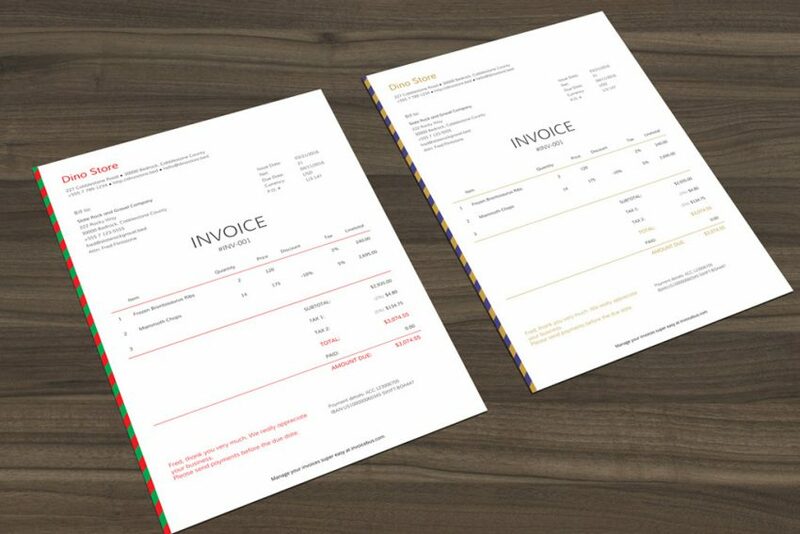 Finally, the pleasure of downloading this invoice template will cost you $11. Every business owner is under pressure. However, more often than not law professionals get ahead of the curve regarding the amount of work they have to cope with and the time they spend doing their jobs. Therefore, invoices for this sort businesspeople need to be even simpler and more straightforward. So, if you’re a legal business, a self-employed lawyer, or any other form of law business, the Clean invoice template is a perfect choice for you. Reduced to basic graphical elements, relying on the serious sans serif font, this invoice send a clear message: we can defend your rights in the shortest time possible. As for its practical use, it offers a wide range of editing options, such as adding or removing rows and columns of charged items, depending on your invoicing needs. Also, this is an invoice based on HTML, which means that it can function as an individual online document in your Internet browser. The price for this template is $7, which is a real bargain for such a business-friendly solution. Businesspeople who don’t only need an invoice, but want to send a clear visual message about their taste will go for the Machine invoice. For only $11, you’ll get a template that perfectly simulates those vintage typewriters, like the Remington Noiseless. What gives this invoice that vintage touch is its old-fashioned background texture. You can use it in electronic form or print it. The latter option can be accompanied with recycled paper, to add to that vintage office look. When it comes to the design features, Machine provides its users with three different themes – ash, mint and sand. Still, you can include a palette of other colors, to personalize this beautiful invoice. 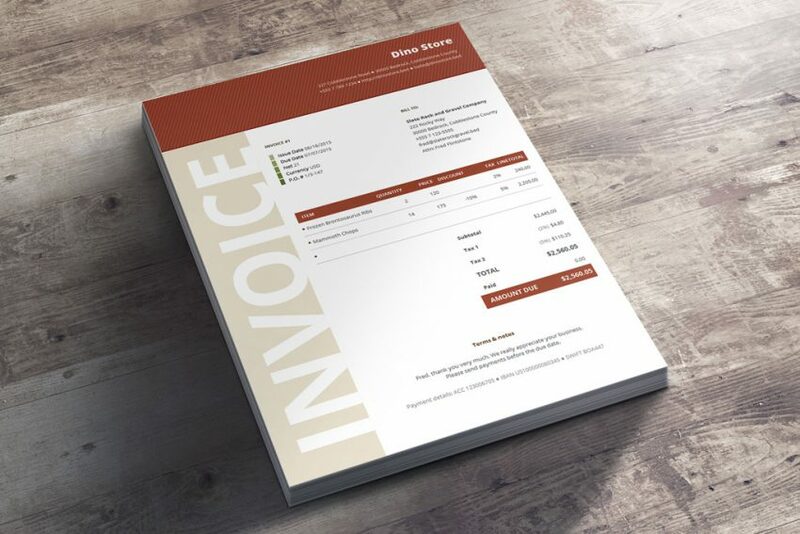 Creative writers, designers, artists and copywriters are only some of the professionals that will like this invoice template. If you’re a photographer, you probably want to leave an artistic footprint in everything you do. This is why the Jade invoice is a handy choice for photo artists. The greatest detail that its designers conceived is the background camera-shaped watermark. You can adapt Jade to your visual preferences through six different themes and a variety of color schemes. 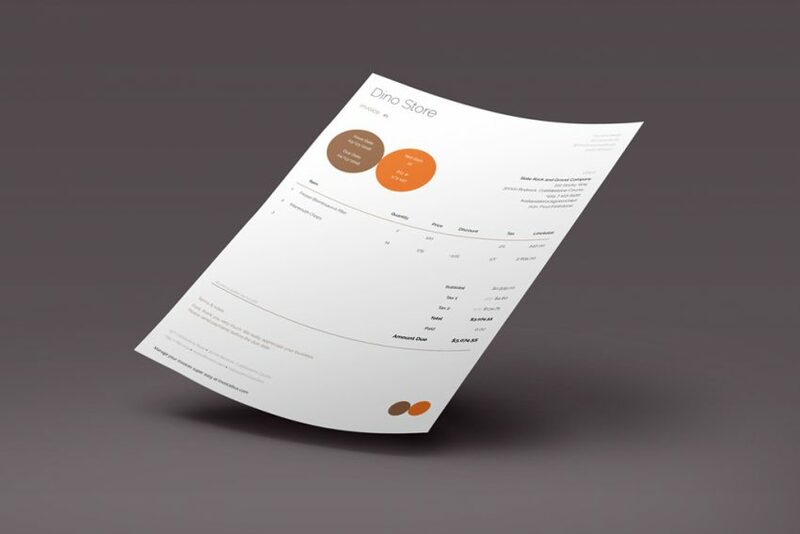 Its sleek lines and smartly arranged variations of white space and visual solutions keep this template a visually impressive invoice. Moreover, it will automatically process and calculate your taxes, totals, subtotals and special deals, such as discounts. The price of this admirable template is $12. Perhaps due to the increased global popularity of 24 Kitchen Channel or increased availability of various ingredients, many people are turning to cooking business. Since this niche is specific in terms of hygiene and trust, it’s vital to blow away your clients by showing them you’re literally the master of taste. 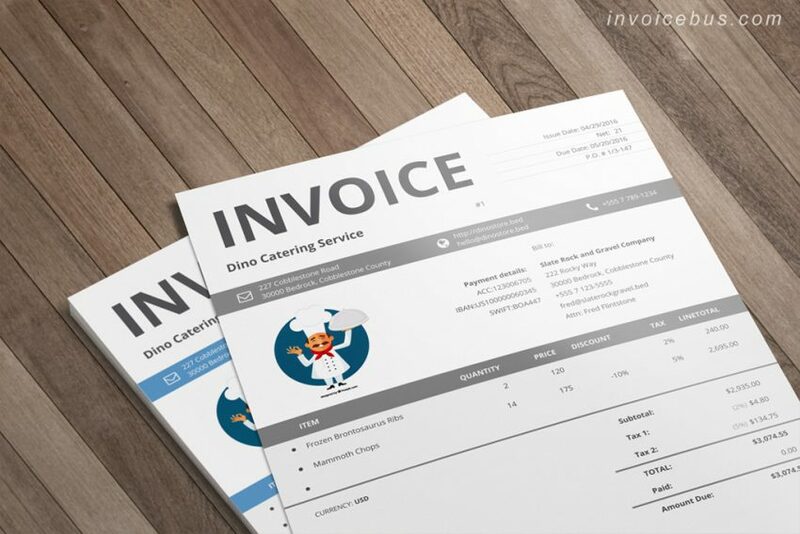 You can start working on that goal by using Ori – the special invoice template dedicated to catering businesses. The visual aspect of this invoice is dominated by the logo of a chef standing in front of a globe. While this pattern already sends a great international message, you can adapt it to your visual taste or replace it with your own brand identity. 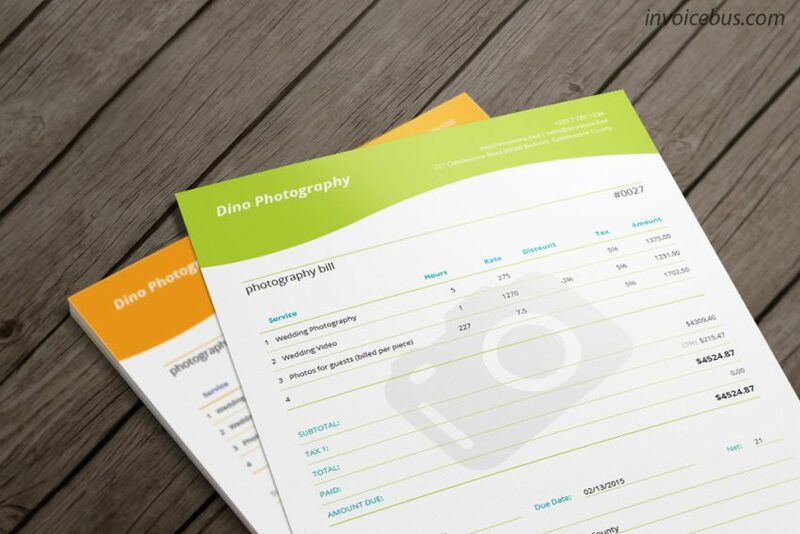 As for the “body” of the invoice, this template allows you to include all the major items. That way, you can start with the meals and drinks you’ve prepared and delivered, move on to the number of items and their prices. The bottom is reserved for the tax and the total amount. Another great perk for busy caterers is that Ori will calculate all the figures automatically. The colors available to the users of this template are blue, red, green and grey. 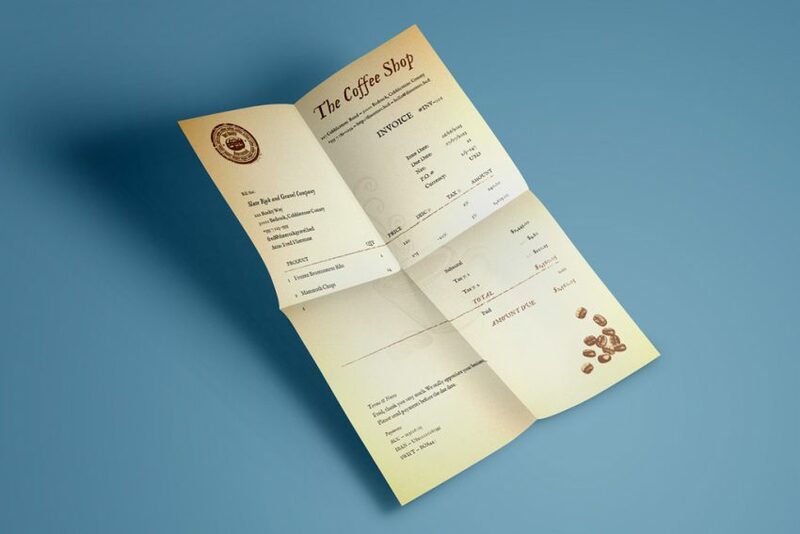 Apart from caterers, this invoice will be useful for coffee shops, pizza restaurants, fast food stands and similar ventures. All these functions are available for $11. Everybody working in the IT-field knows how important accuracy and precision are for experts from this niche. Therefore, if you run an IT-business, make sure that your invoices come with clear visual sections and well-organized alignment. 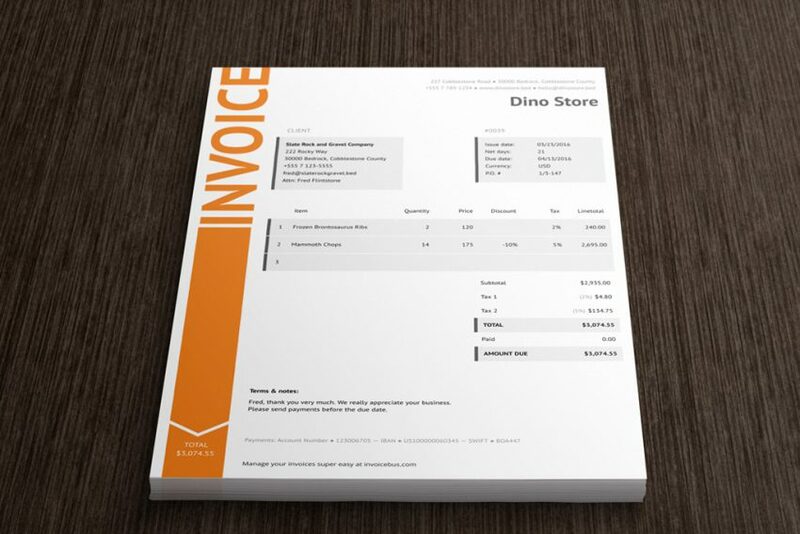 The Floppy invoice template can be considered a ready-made invoice for programmers and other similar entrepreneurs. What makes this template different from similar forms is the stripe along the left side of the invoice, with a big “Invoice” title. You can either leave that writing intact or you can write something that would be more related to your business. Similarly to other invoices analyzed here, Floppy performs automatically all the mathematical operations you might need for your subtotals, totals and taxes. 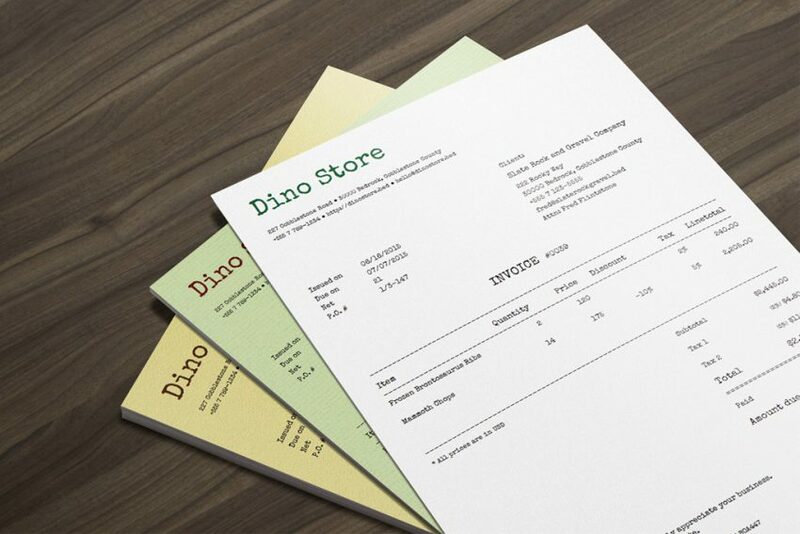 If you want to get this invoice template, prepare $10. 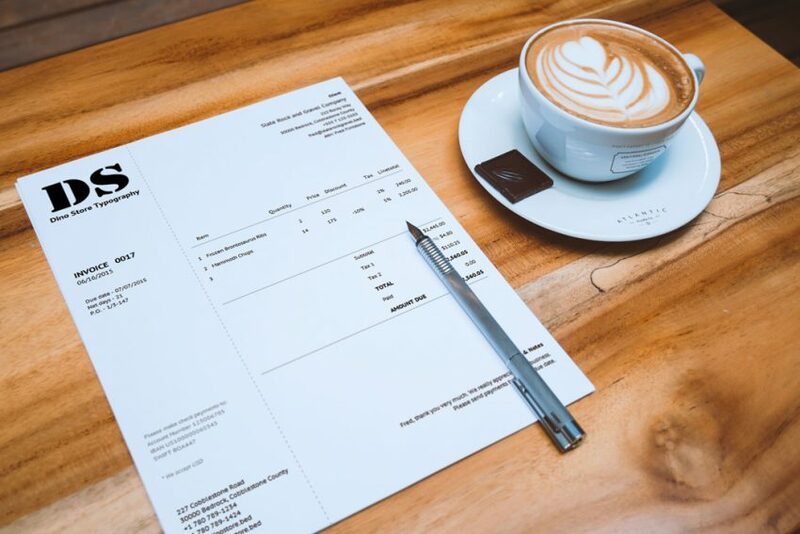 The Coffee invoice template will find these best matches in entrepreneurs who roast, grind and pack coffee beans, as well as in those who make coffee in their cafes. This invoice relies on a visually appealing layout, warm background colors and typography that resembles checks from vintage American diners. Since this pattern was made with coffee lovers in mind, the Coffee template comes with a coffee cup background watermark. Apart from that, the bottom of the page is decorated with a few coffee beans. Of course, you can replace these details with your own imagery. The middle of the page is reserved for payment details. You simply write down the payable items and the total sum you’re going to charge. The price for this template is $12. Businesspeople who provide various services to make a living can finally relax and focus solely on the services they provide. The Caballe invoice template encapsulates all the essential payment features that every such provider needs. The middle of the page is dominated by the “Bill” title. This direct message saves time for both the service provider and their client. However, you can replace that writing with something yours. Moreover, it’s possible just to enter the relevant data and the invoice will come up with automated calculations of your subtotals, taxes, totals and any special bargains. Additionally, you can change the table layout by adding or removing columns and rows. Caballe also offers several date formats, as well as various currencies for international payments. If you opt for Caballe, you’ll pay your invoice template $10. Since the modern business market is rapidly growing, there’s a greater risk of various scams. This is where pro forma invoices come on stage. According to the definition provided by Business Dictionary, a pro forma invoice is “an abridged or estimated invoice sent by a seller to a buyer in advance of a shipment or delivery of goods. It notes the kind and quantity of goods, their value, and other important information such as weight and transportation charges”. This document ensures that you get paid in advance thus protecting yourself from being tricked. The Circle template is one of the most practical pro forma invoices available for business users. The top part is dominated by two connected circles, which represent a fair business bond between two entities. However, you can delete these two items and enrich this template with your own logo and brand colors. Moreover, you can drag and drop the lines with the charged items, as well as automatically calculate all the financial features in Circle. Also, this template can be used as a VAT-invoice. Entrepreneurs who want to add this it to their invoice pool will need to assign $10 for that matter. Receiving a nicely designed invoice is like noticing a person in good shape. It shows that the other party has made an effort to take care of their looks. Such an attitude generally leaves a positive impression on people. The Niana invoice template should meet the requirements of every aspiring and visually demanding business professional. First you’ll see the large “INVOICE” word on the left margin of the invoice. It can be left that way or changed in accordance with your business preferences. However, the size and the boldness (literally) of this visual solution sends a message that you’re a stark business enterprise. Moreover, the color of the header can be adapted to your type of business. As for the accounting features, you can rely on automatically calculated taxes, subtotals, and subtotals. Apart from that, Niana swiftly transforms your input on tailor-made discounts into an item on the invoice. In many areas of work, vintage has gained popularity over the last few years. So, together with the aforementioned Machine template, we present Mo – another vintage invoice template that will enrich your invoicing crew with a touch of the business past. The genuine nature of this invoice is comprised in its typography. Namely, its font reflects a vintage handwriting, so it gives an impression that you’ve made an effort to handwrite it. Also, the background is enriched with paper lines, so that it looks as if the author has just arrived from the pre-computer era. You can choose from three different color schemes, all three vintage, as well – plum blue, navy and indigo. Combined with all the basic invoicing functions and the affordable price of $10, Mo is a perfect fit for young designers and creative artists. More of an invoice editor than a pre-set template, Split offers you a wide range of options for creating a genuine business invoice. While you can keep it stripped of any visual details, this blank template leaves room for business logos and various color schemes. The reason why this template is called Split is that it’s separated, i.e. split in two parts with a vertical line. For instance, business owners can write the information about their business on the left side of the invoice (approximately one-third of the document). Also, the upper left part is a perfect place for your client’s details. The middle part will accommodate the item list and the total amount will populate the lower area of the invoice. Needless to say, Split automatically performs all the calculations you might need, as you enter your figures. 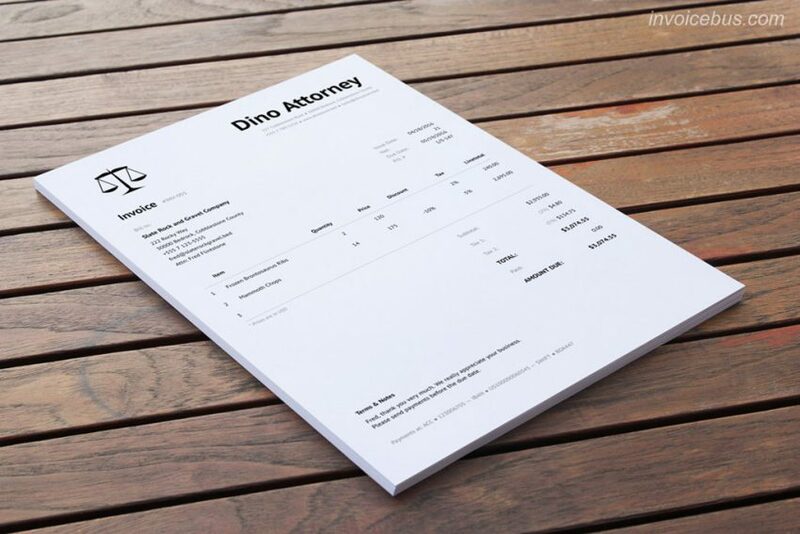 Finally, the price is also a real bargain – $7 for this marvelous invoice template. If you consider yourself a clever businessperson, you’ll appreciate using a well-structured and wisely designed invoice template. These two and many other features make the Bella template a fantastic choice for determined entrepreneurs. Due to its interactive elements, you can copy and paste or drag and drop different data in your Bella invoice. The upper part is divided into two sections. You can use the left one for the invoicing date and additional notes. The right one is a great choice for details about your business. The lower part is a compact unit. Also, you can place your items in the middle of the invoice and the final payment information in the lower right corner. Bella’s strict structure makes it a real eye candy. In return, this visual appeal can catch the eye of your clients and result in faster payments. Choosing the right invoice template for your business used to be a strenuous task. However, the options discussed in this overview have led to a real paradigm shift, invoicing-wise. As a result, modern invoices aren’t mere financial documents anymore. On the contrary, they’ve become an expression of business attitude and personal taste. All these features make these invoice patterns a great choice for all sorts of businesses.